Among HIV-positive people, mortality related to hepatitis B and C is falling but deaths due to NAFLD are rising. Patient advocacy groups get together, providing education about this little-known disease. 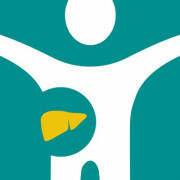 Non-alcoholic fatty liver disease is caused by excess fat in the liver, and can worsen into non-alcoholic steatohepatitis (NASH). A healthy diet is an essential ingredient for liver health, especially for those with fatty liver disease.